This is a collection of some of the Mutton recipes published on this site over the past few years. 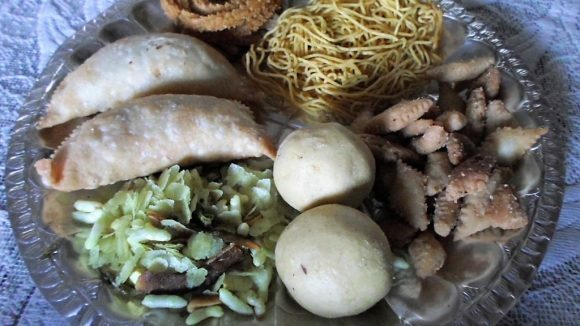 The list includes Maharashtrian, Malvani, Kashmiri, Konkani, Punjabi, North India, Mughlai, Mid-Eastern, Chinese and Continental Meat preparations. The selection also included Mutton Party Starters items and Snacks, Keema, Curries, Soups, Gravies, Chops, Biryani and Pulao, Kebabs, Parathas and many such traditional Indian Mutton Specialty dishes prepared in the Restaurant and Dhaba Style of Cooking.